Before Dr. Cameron made his contribution to treating pleural mesothelioma, there was only one surgical treatment that was available. Today, his pleurectomy with decortication procedure has improved the lives of many patients. Dr. Cameron is head of the mesothelioma program at the University of California Los Angeles Medical Center. He is also the chief of surgery at the West Los Angeles Veterans’ Administration Medical Center. He is the innovator behind the lung-saving pleurectomy with decortication (P/D). Dr. Cameron developed P/D as an alternative to the extrapleural pneumonectomy (EPP). He believed that he could produce results that were comparable to EPP while sparing the patient’s lung. Amazingly, Dr. Cameron did just that. Today the pleurectomy with decortication surgical procedure has rates of success that are just as promising as an extrapleural pneumonectomy. 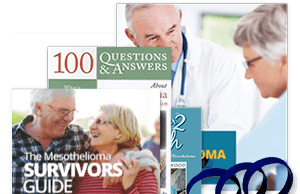 With Dr. Cameron’s success in treating mesothelioma as a chronic disease and his experience in clinical trials, he has become a well-respected advocate for the mesothelioma community. MD UCLA School of Medicine, 1984. Dr. Cameron completed his residency at UCLA Medical Center in Surgery from 1985-1986, 1989-1992. Dr. Cameron is a mesothelioma innovator who developed the lung-sparing pleurectomy with decortication. He is renowned for his advanced skill in treating pleural mesothelioma patients with dignity and caution. Why Choose Dr. Robert Cameron? I would like for Nurse Jenna to help connect me with Dr. Robert B. Cameron. 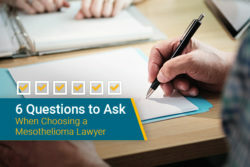 I would also like information about other mesothelioma specialists and treatment options. The UCLA Medical Center is located in Los Angeles, California. The center has been there since the 1960’s and has become world renowned for cancer research and treatment. UCLA also provides grants for mesothelioma awareness and research. 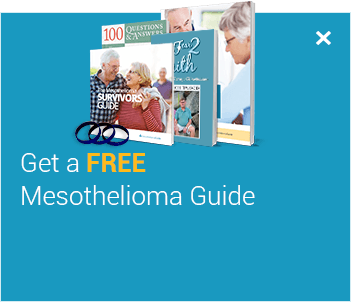 Our goal in treatment of mesothelioma is to control the disease.” – Dr. Cameron. Before pleurectomy with decortication was developed, the pleurectomy procedure had virtually no curative potential for mesothelioma patients. Dr. Cameron changed that. He developed a treatment plan that is extending the lives of patients who have pleurectomy/decortication. During this part of the operation, the outer lining of the lung is removed. Since pleural mesothelioma is a cancer of the lining of the lungs, this procedure removes most of the tumors in the patient’s chest. This process involves removing tumors that are attached to the inner lining and surface of the lung. This is a tedious process because a surgeon must carefully remove the cancer found between the lobes of the patient’s lung. The process of decortication being paired with a pleurectomy has Before the decortication process was developed by Dr. Cameron, the pleurectomy surgery on its own didn’t do much to improve a patient’s survival time. 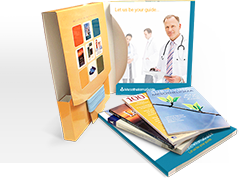 Many patients who undergo a P/D also take advantage of intraoperative radiation therapy (IORT). IORT is the last step of the operation. Instead of radiating beams through a patient’s healthy tissue and muscle, it applies radiation directly to a patient’s disease. The purpose of intraoperative radiation therapy is to kill any microscopic cancer cells that were not removed during surgery. Patients who have IORT as part of their procedure often live longer than those who don’t. 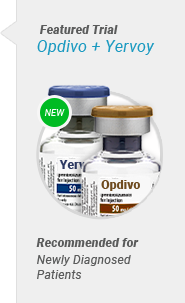 Due to this, IORT is becoming more standard in patients who have a P/D. Dr. Cameron helped found the Elmo Zumwalt Comprehensive Mesothelioma Program stationed at the West Los Angeles VA. 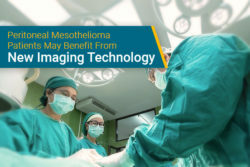 The program offers top-notch treatment for veterans with mesothelioma looking for medical care in the VA. The mesothelioma program at the West LA VA has become one of the top treatment centers in the country thanks to Dr. Cameron. Veterans can rest assured that patients at this treatment center get the same kind of care as those at the best public and private hospitals across the country. Veterans seeking the best treatment for their disease can find it at the West LA VA. 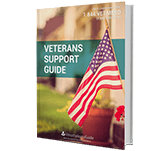 Learn more about Dr. Cameron’s role at the LA VA and getting treatment there in our free Veterans Support Guide. These survivors have been given a new lease on life thanks to the treatment they received. 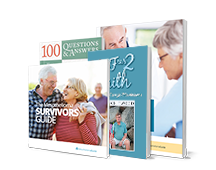 Learn how survivors beat the odds with this treatment in our free Mesothelioma Survivors Guide. DR. ROBERT CAMERON, MD. Pacific Heart Lung & Blood Institute. Retrieved from: http://www.phlbi.org/about/scientificadvisoryboard/dr-cameron/. Accessed: 12/13/2017. DR. ROBERT B. CAMERON, MD FACS. Pacific Heart Lung & Blood Institute. Retrieved from: http://www.phlbi.org/about/dr-robert-b-cameron-md/. Accessed: 12/13/2017. Hope for Veterans with asbestos-related cancer. U.S. Department of Veterans Affairs. Retrieved from: http://www.blogs.va.gov/VAntage/14948/hope-for-veterans-with-asbestos-related-cancer/. Accessed: 12/13/2017.